We will always try to see you as quickly as possible, particularly if you are in pain, but you may need to wait a little longer than usual at busy times. Our emergency treatments provide a lower cost temporary solution until you are able to see your usual dentist for full treatment. Regardless of how well you look after your teeth, you may sometimes be faced with sudden toothache, a broken tooth, lost filling or detached crown, bridge or veneer. 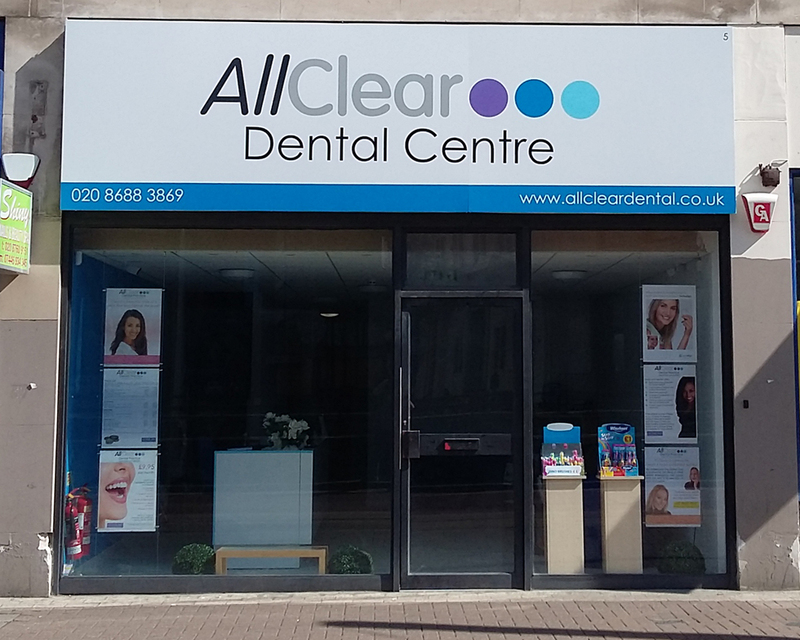 AllClear is open six days a week including all day Saturday and, if you have a dental emergency, we will be pleased to treat you even if you are not already registered with us. The price of your emergency consultation covers all x-rays and the issue of a prescription, if necessary. As a private practice, we do not issue NHS prescriptions but our private prescriptions can be taken to any local pharmacy for dispensing. Other temporary repairs can also be undertaken and will be priced individually according to the extent of the work needed. You will be advised of the cost of any such work at the time of your emergency appointment and your agreement sought to proceed before the work commences. We will always try to fit emergencies in as quickly as possible. However, please be aware that, at busy times, you may have an extended wait or we may request that you contact Croydent (see below). If you have a dental emergency outside our opening hours, then please phone NHS Choices on 111 or click on the button to the left. In Croydon, out of hours dental care is provided by the Croydent Emergency Dental Srevice which is located in the Walk-In Centre in Edridge Road, CR9 1PJ. However, this is not a walk-in service and you will need to phone them on 111 to request an appointment.